I was incredibly lucky in the great Olympics ticket scramble. Alone among my friends, I got precisely what I wanted: nothing at all. Early experience as the fat kid schoolmates fought not to have on their teams left me with a lifelong total indifference to games so hard to beat that I rather wish it qualified as a gold medal event. 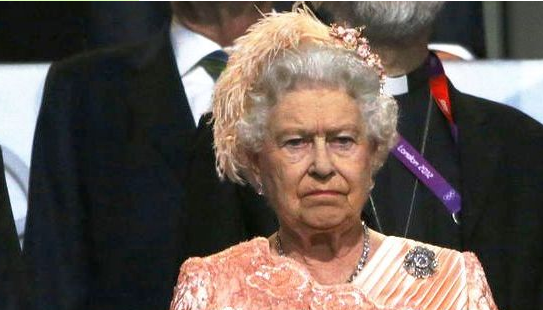 So how does a sport-loathing freak like me feel about the way that the nation is currently gripped by Olympics mania? Surprisingly, quite delighted. 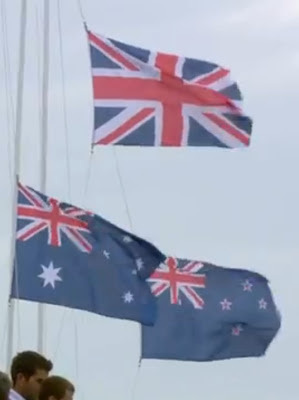 I will admit that the only bit of the Games I have actually watched, apart from the highlights featured in the news (and isn’t it lucky that there has apparently been no other news to report for the last ten days?) was the opening ceremony. 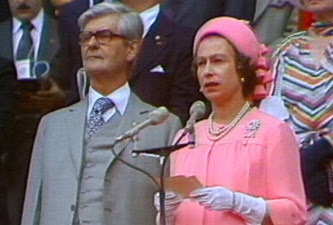 Once again, The Queen expresses the feelings of the whole nation - or was this before McCartney started 'singing'? What I chiefly noted, from my perhaps unique perspective of detachment, was that opening ceremonies have grown a great deal more spectacular over the last 36 years. While I doubt that a political discussion between Danny Boyle and myself would see us reach agreement on many points, and his grasp of history would surely have consigned him to the remedial stream at my old school, it was without question one of the most stunning bits of theatre I have ever seen. I freely admit that, along with many who actually care for sport, I was extremely sceptical that the fortunes spent on bringing the Olympics to London could ever be remotely worth it. But I may now need to back-pedal for perhaps half a circuit. I certainly feel very proud to belong to a country that can stage such a tremendous show without – at the time of writing – any of the cynically anticipated foul-ups. I am also pleasantly surprised to find that we can now compete seriously with the best athletes in the world on so many fronts. The achievement is truly astonishing to one who, as a bookish child, only looked up at the TV during the Olympics on hearing the familiar strains of “God save the Queen”, and almost invariably found it being played in honour of Australia rather than the mother country. If, as we are told, one additional bank holiday for the Diamond Jubilee was enough to plunge the country into recession for the last quarter, the economic reckoning for having the entire nation at home glued to the TV for a fortnight seems unlikely to be pretty, but who cares? There is more to life than money and raising national morale to its present pitch, in the face of the worst summer I can remember, is a staggering and worthwhile achievement. I have always loved my country for its greatness on so many fronts: language, laws, institutions, arts, science, industry and popular culture, to name but a few. If the Olympics are helping more people to identify with Great Britain, and to make the national flag and anthem the proud possession of us all, and not just reactionary old fogies like me (plus some even less attractive fringe groups on the right), then they are truly one of the very best things that has happened in my lifetime. It remains to be seen whether any of this will last longer than the seasonal sporting crazes that used to grip my schoolmates half a century ago. But if the present welcome upsurge of sporting patriotism ultimately helps to defeat the hopes of the separatists, regionalists and Eurofanatics who would wipe Great Britain off the map, Sebastian Coe will deserve not just another gold medal, but a dukedom and a permanent place on the fourth plinth in Trafalgar Square. 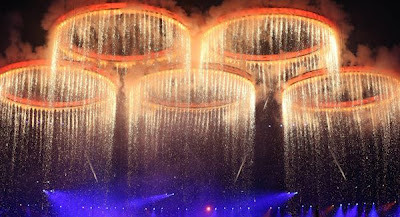 Haven't watched any Olympic events either, except for the over the top opening show. Admiring the Queen for her participation with such panach and good humor. While the games have made you proud, the American reportage has made me cringe for years (and 2012 is no different) since the old days of childhood when Roone Arledge of the ABC network provided fascinating background stories on athletes from all over the world. Now we get a loud banal america-centric rah rah carcophany. There's us and then everybody else. The focus is always on the medal count. And godforbid an American reporter mentions anything British... history, customs etc., it is misprounced and/or inaccurate. So rather than suffer from boiling blood or destroying my own flat screen with a thrown shoe, I've tuned in to programming I don't normally watch and discovered some pleasant surprise.